← Exactly how big is soft baggage? Only a week later than planned the Honda and I now are on the road for a month or more’s riding around the fabulous Southwestern USA. How long had that been on the ‘to do’ list? 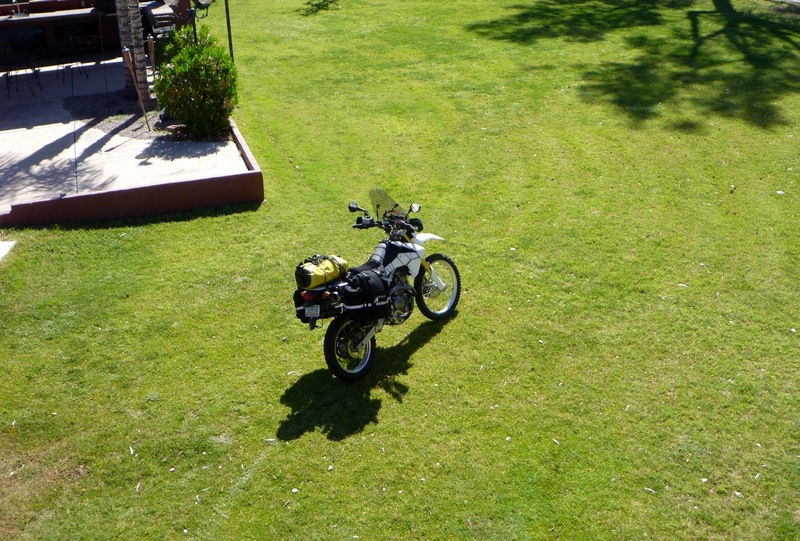 The Magbags filled up without too much compression or compromise and of course riding it out onto the lawn the bike flapped around like a three-wheeled shopping trolley full of cement – just as do all loaded bikes at Mile Zero. Yesterday I flew back from a talk near Tacoma where I met Tom Grenon, just back from Baja and with whom I KLR’d through BC and Yukon back in 2001 and where I confirmed what it is I like about deserts! 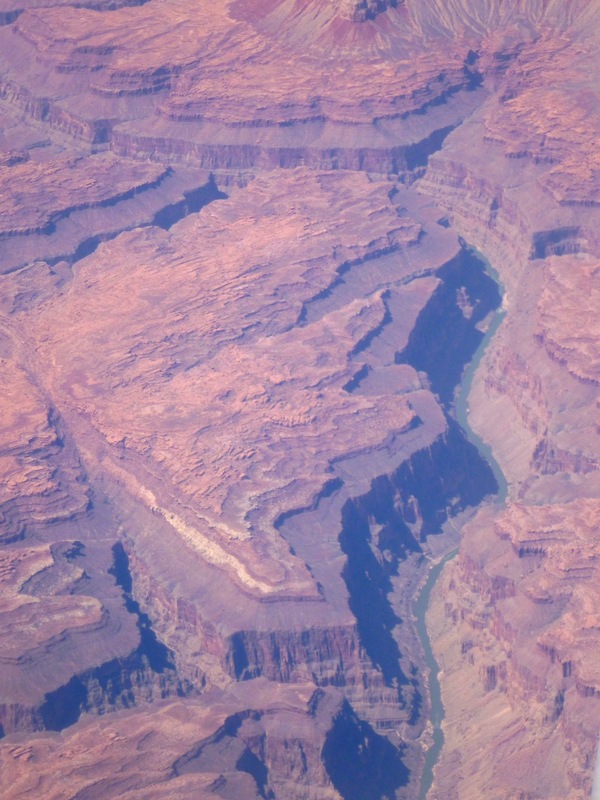 The plane flew via SLC and across southern Utah and some place called the Grand Canyon (right) where I’ll be in a couple of weeks. 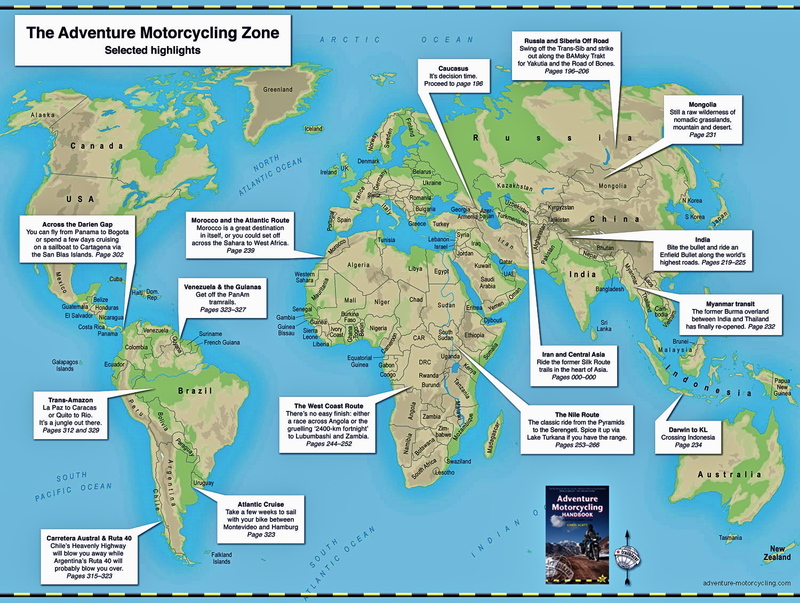 But first it’s west to Vegas and Death Valley, the accessible corners of the Sierra Nevada and Northern California. Then maybe up to the BR Desert in northwest Nevada and down to southern Utah. After that who knows, New Mexico or maybe even Baja Mexico. 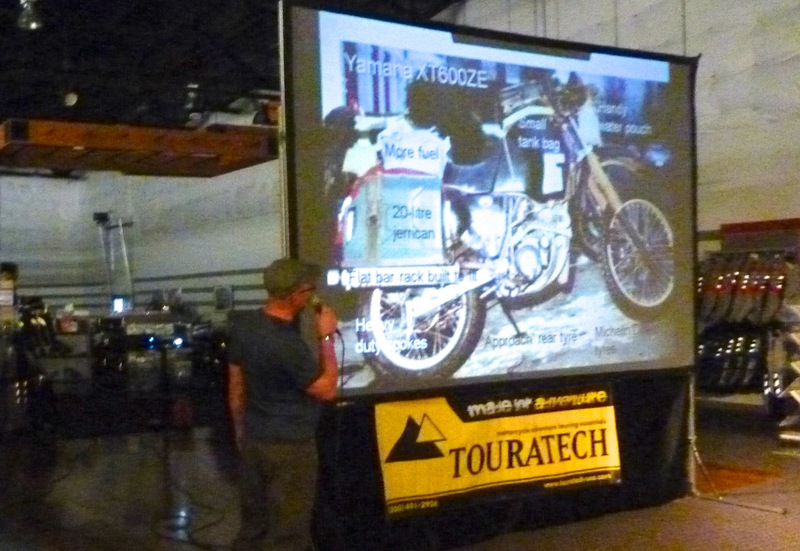 Tune in for time to time to see how it all pans out and how the bike and gear perform. Or see you on the trail or at the Overland Expo around 18 May, near Flagstaff. Bismilah, as they say in the Sahara. 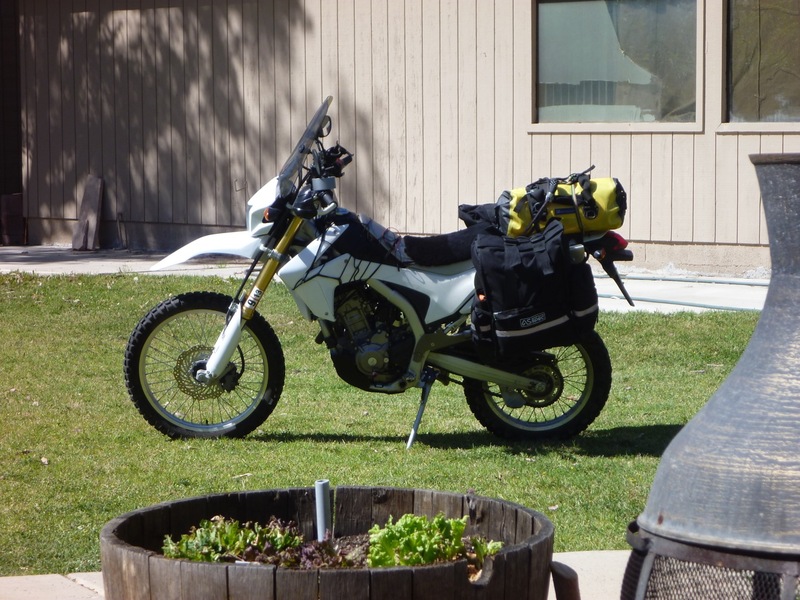 This entry was posted in AMH News, Project Bikes, Project: Honda CRF250L and tagged adventure spec magadan bag, Call of the Wild dvd, Honda CRF250L, Jesse MonoArm rack, Mile Zero, Southwest USA, Tom Grenon. Bookmark the permalink.